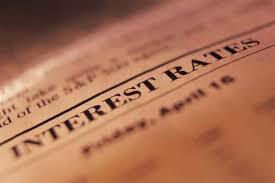 "After touching three-year lows in July, mortgage rates ended the month on a flat note. The turbulence from Brexit has faded to a considerably degree, and it may just be that the summer doldrums for markets have kicked in. If so, we will likely be in for a rather directionless period for mortgage rates. The Federal Reserve completed a two-day meeting on Wednesday this week. No change to short-term interest rates or other monetary policy tools was expected, and none came, nor was there any specific mention about Brexit or the market turbulence the vote caused around the globe. As far as how markets are at the moment, the Fed simply said that "Near-term risk to the economic outlook have diminished." After the meeting, and with no specific indication that a September move was increasing in likelihood, bond markets rallied and yields declined a bit. That may help mortgage rates to fall back by a couple of basis points in the days ahead, but there's really not much happening at the moment. As has often been the case this year, mortgage rates aren't going anywhere fast. Even the "plummet" from the Brexit vote was a decline of a little more than an eighth of a percentage point... we saw as much with no Brexit back in late January-early February. Next week brings the first week-of-the-month cascade of new data, and we should start to see Brexit-induced disruptions (if any) in each new piece of data that covers July. This will include the employment reports, twin ISM surveys, auto sales and a few other items. We think that the effects will be more muted than not, and with that in mind, mortgage rates may edge a few basis points higher by the time the end of the week rolls around."